John Ryder is a family business based in Wymondham, Norfolk. We offer reliable removal & storage services throughout the UK. From antiques to house clearances, we do it all - Door to Door. 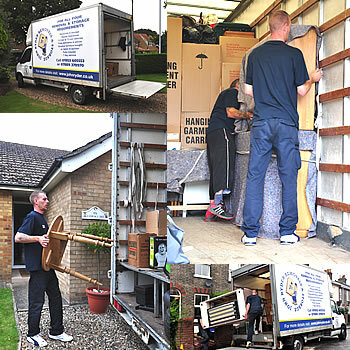 We are a reliable family run removals and storage business based in Wymondham, Norfolk. We run small transit vans to 7.5 ton lorries to suit your requirements. Removals – Domestic and office moves local to Norfolk or long distance, we offer a reliable and affordable service, door to door. Man-with-van – Ideal for one-man or self moves, or where you just need to move a sofa or bed across town. Light Haulage – If it can be put in the back of one of our vans we can move it. We specialise in delicate and antique furniture transport and have a regular haulage to several sales rooms every week. House Clearances – Full or partial house clearances available. We can clear an entire house and take any valuable items to the sale rooms. Storage – There are many reason to store your property. We can accommodate just a few large items or an entire family household.